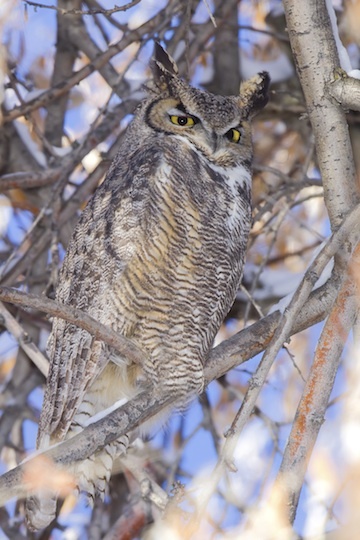 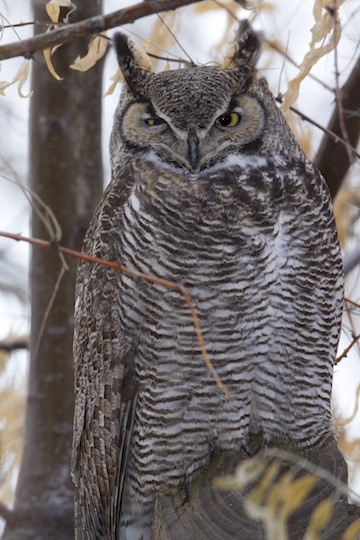 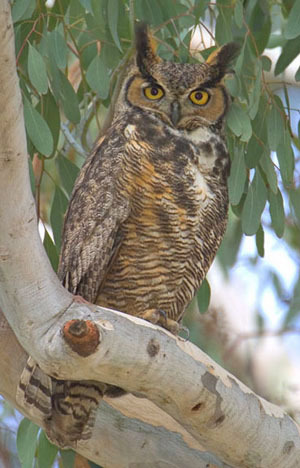 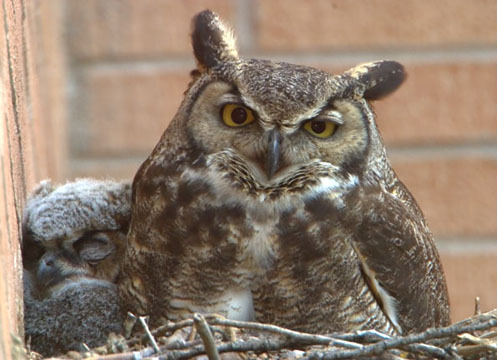 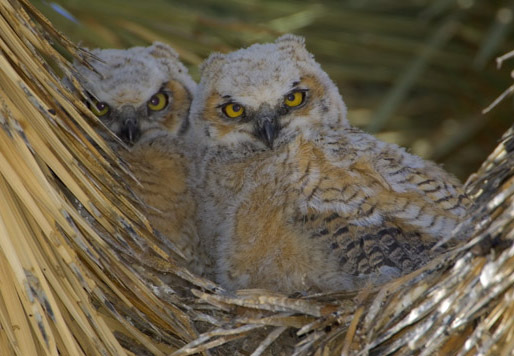 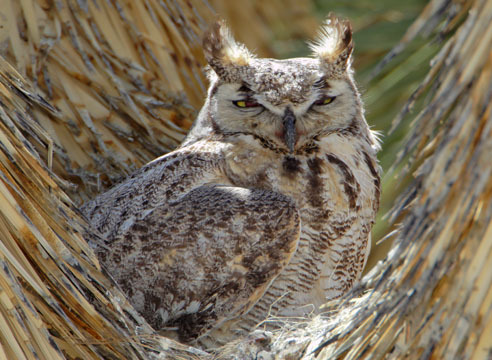 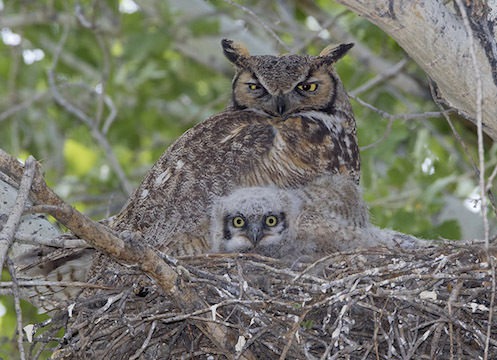 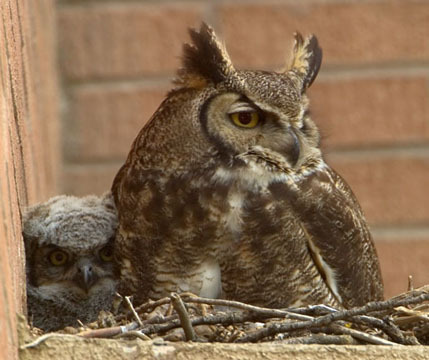 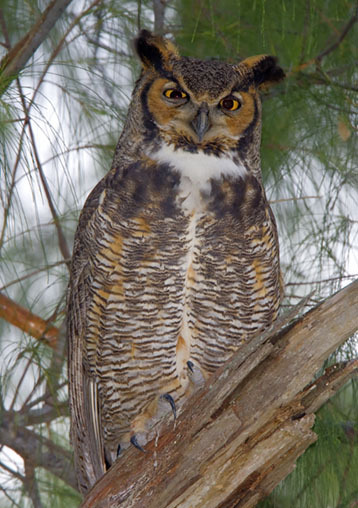 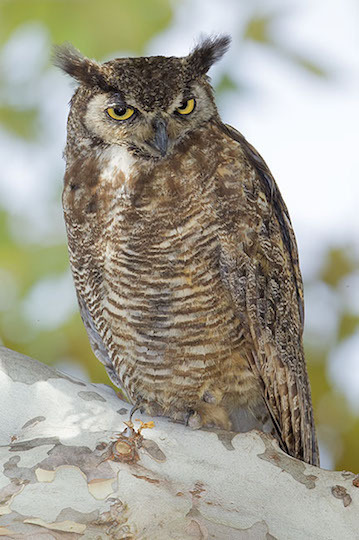 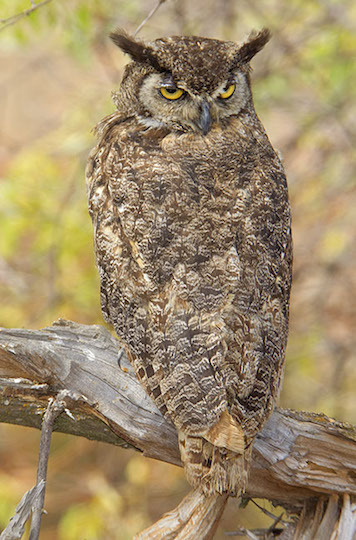 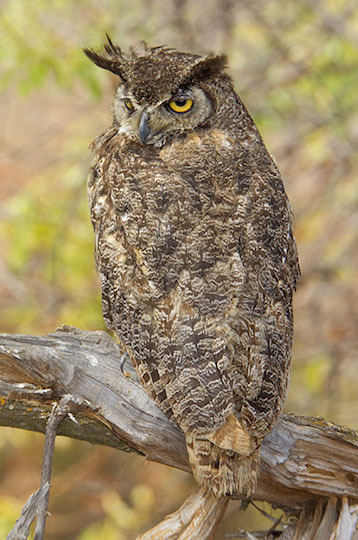 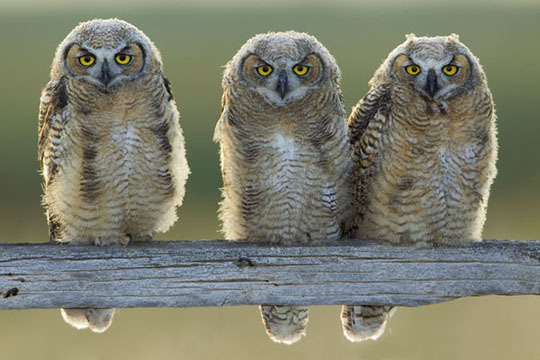 Great horned owls are one of the most widely distributed birds, ranging from the Arctic into southern South America. 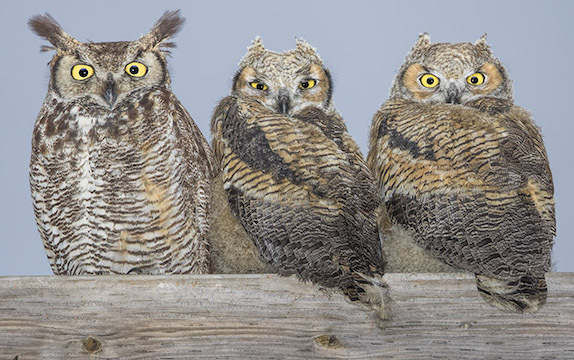 The bird shown at the top right and left is the male of a breeding pair. 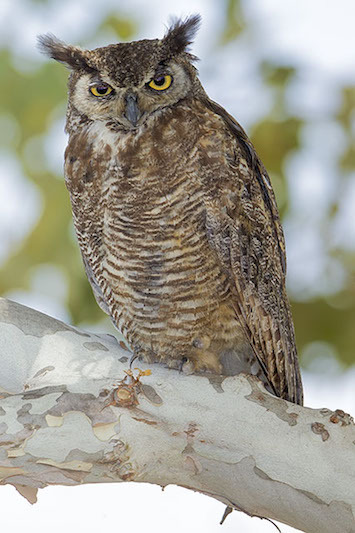 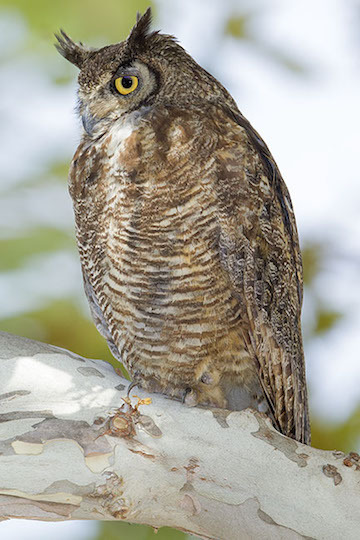 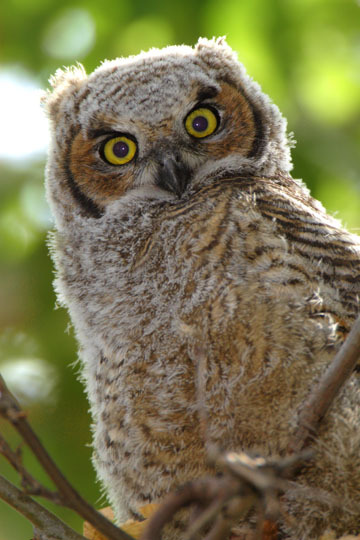 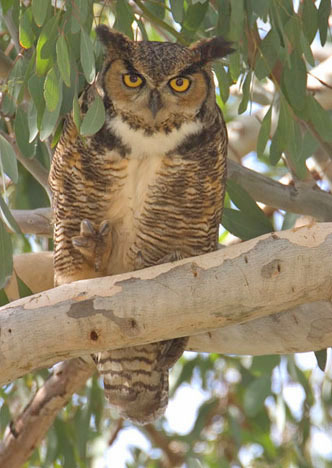 He was photographed on his day roost in a eucalyptus tree on the University of California, Riverside campus. 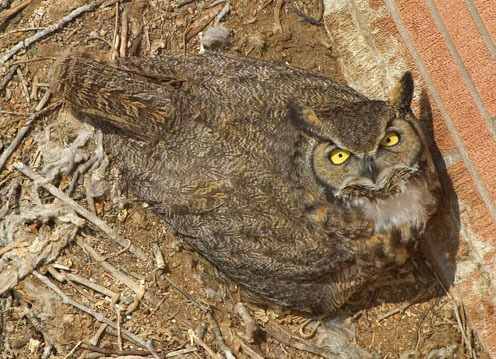 His mate was on her nest (an old raven nest) nearby on a 4th floor window ledge. 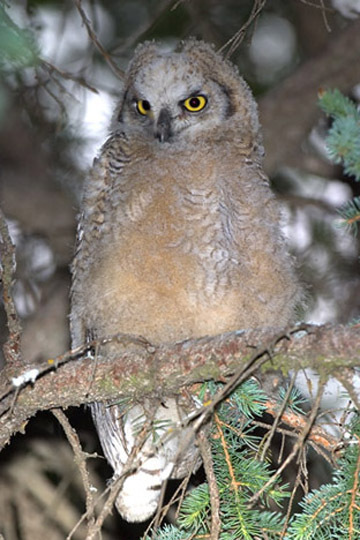 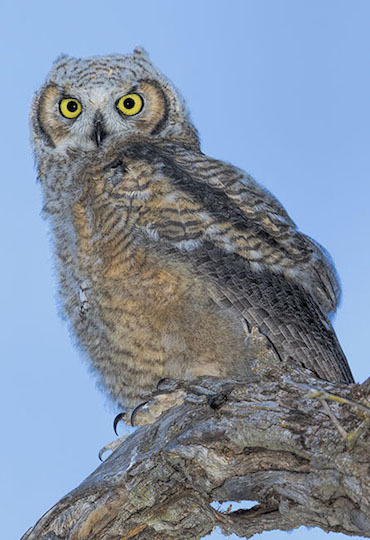 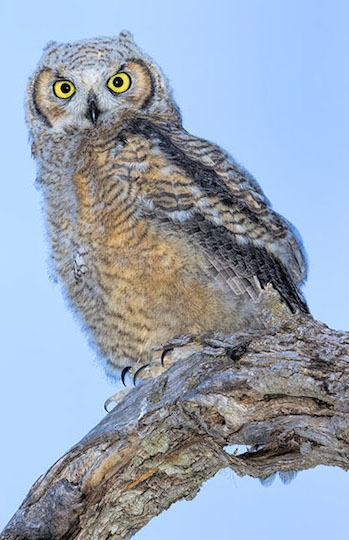 The other owls were at Fort DeSoto Park in southeastern Florida, in Joshua Tree National Park and the San Jacinto Mountains, CA, in Riding Mountain National Park (Manitoba, Canada), on Antelope Island in the Great Salt Lake, Utah, and at Bear Lake Refuge in southeastern Idaho. 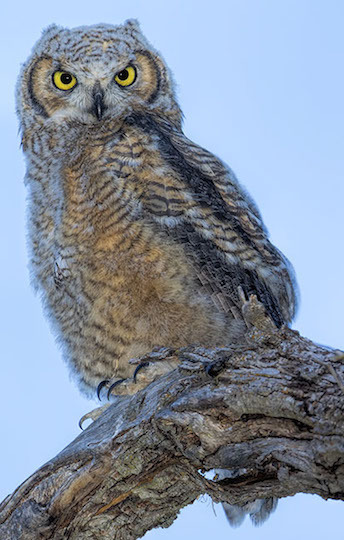 Pictures of one of these birds at sunset are here; photos of another are here.